GAINESVILLE, FL- The Florida Gators struggled in their conference match against the Kentucky Wildcats on Wednesday. Florida fell to 12-2 overall and 2-1 in SEC play while Kentucky improved to 10-4 and 3-0 in the SEC. This was the first home sweep against Florida since November 15, 2013 against Missouri. 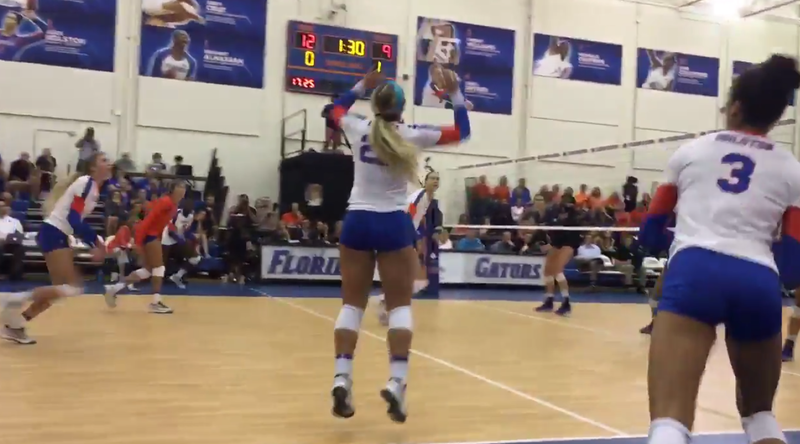 The Florida Gators suffered a straight set conference defeat to the Kentucky Wildcats on Wednesday night at the Lemerand Athletic Center. Senior Alex Holston led the Gators with .400 efficiency and 15.5 points. Kentucky outhit Florida .290 to .128 and managed more digs and aces than the Gators.